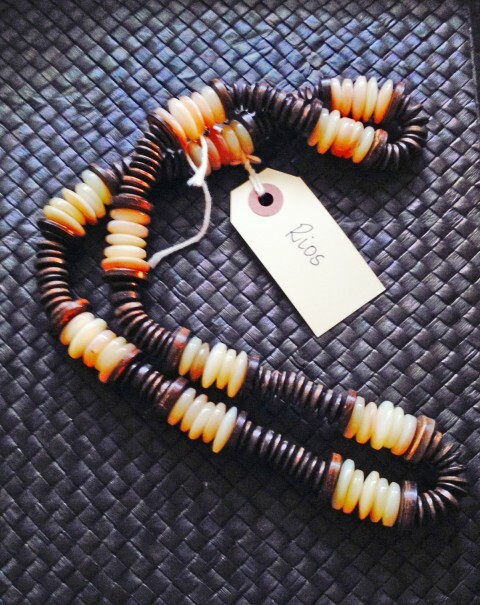 THE RIOS NECKLACE – This beautiful handmade ornament is an elegant mix of small round mother of pearl shell and two different sizes of round coconut shell. * Your beautiful necklace will be carefully package and shipped via USPS. Gift wrapping is provided, without charge.